My Simon Says Stamp November card kit arrived this week and I couldn’t wait to break into the supplies. Luckily for me, the supplies in the kit were the perfect colours to play along with the Colour Me…! team Tara challenge. 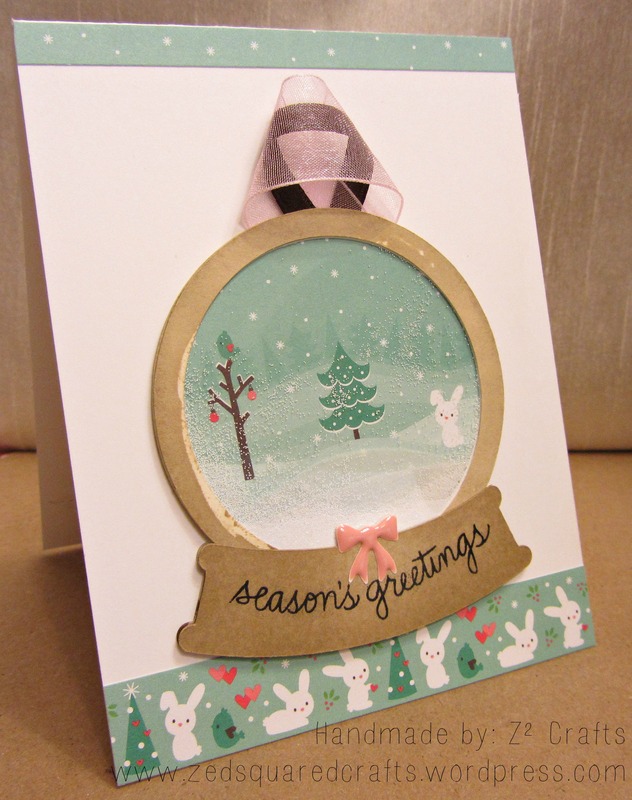 I went through the adorable Lawn Fawn Snow Day patterned papers from the kit and selected the winter bunny scene to use as inspiration for my card. Next, I used my Silhouette Portrait to cut the snow globe using a free cut file from Birds Cards from 110lb smooth white cardstock. Using the Be Joyful stamp set from the kit, I stamped the season’s greetings sentiment in Versamark ink and then heat embossed with Ranger Super Fine black embossing powder. 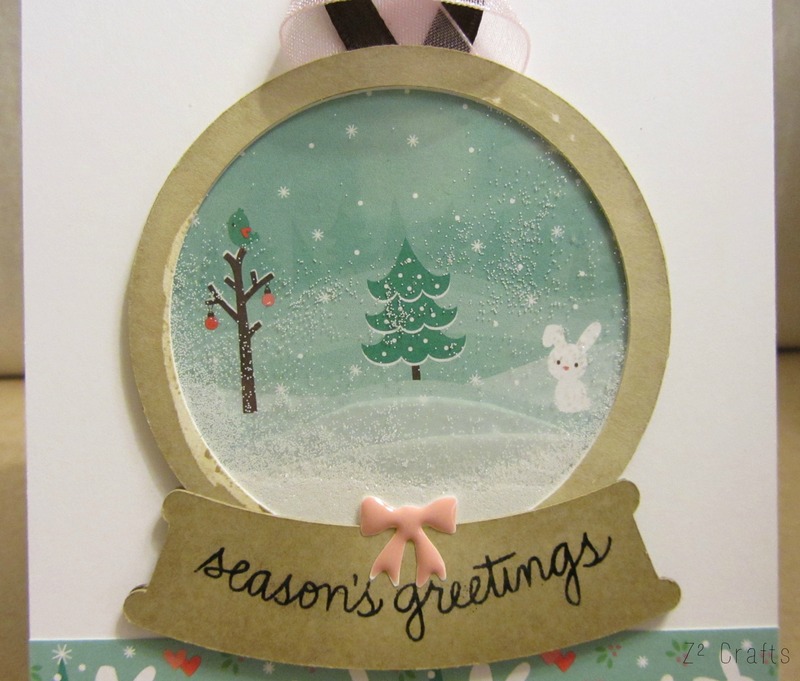 Next, I used a makeup sponge with SSS Khaki ink to colour around the snow globe frame and base. I wanted to add a little extra dimension to the patterned paper so I adhered two snow drift layers cut from vellum before sprinkling on some snowy sparkles and assembling the front with a plastic shaker window. I used foam tape to adhere the snow globe base and finished it off with a pink bow embellishment from the kit and some pink and brown ribbon. I adhered two strips of patterned paper to my 110lb white cardbase to pull the whole thing together and anchor the heavy looking snow globe. That’s it for today. I had so much fun creating this card. Thank you so much for dropping by! Have a great week!